Lyden, Chappell & Dewhirst, Ltd. Welcome to Team Baskets for LLS' SOY Fundraising Page! We can't believe we are over halfway through the campaign. We are so grateful for the support that we've received so far! Every donation moves us closer to our fundraising goal and helps LLS fund valuable, life-saving research! Thanks to our awesome team! 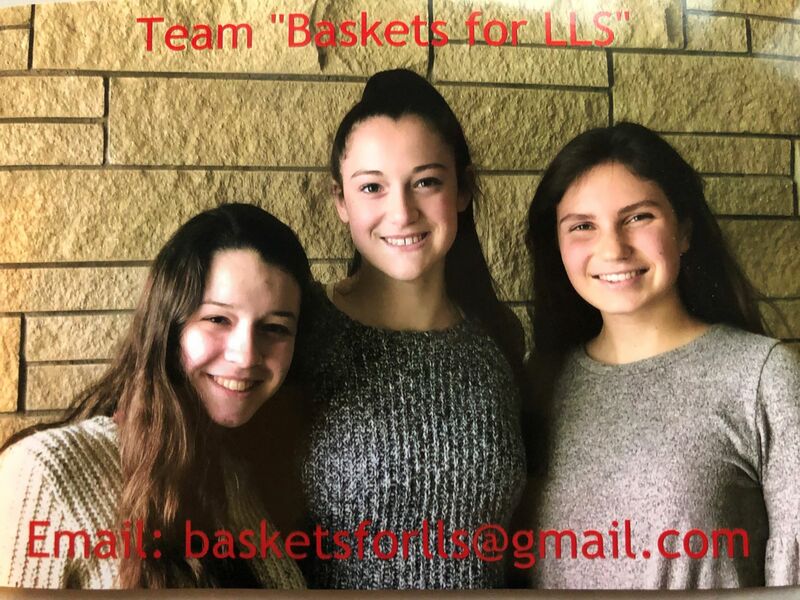 We (Abby Dewhirst, Abbie Westmeyer & Grace VanSlooten) are honored to participate in the 2019 Students of the Year program as part of Team Baskets for LLS. This campaign is a seven-week initiative in which select high school students from around the country participate in a fundraising competition to benefit The Leukemia & Lymphoma Society. I am proud to be raising critical dollars in honor of a young patient hero, Laila, who is currently battling or is in remission from a blood cancer. Each dollar is a vote. The candidate team that raises the most money at the end of the seven weeks is named Student of the Year. Our mission is to not only raise the most money but also to bring attention to blood cancers like leukemia, which is the most common form of cancer in children and teens. Since the early 1960s, five-year survival rates for many blood cancer patients have doubled, tripled or even quadrupled. And many LLS supported therapies not only help blood cancer patients but are helping patients with other cancers and serious diseases. In fact, drugs first approved for blood cancers are now approved to treat patients with stomach cancers, skin cancers, and autoimmune diseases like rheumatoid arthritis. All donations are greatly appreciated and are tax deductible. They'll not only support LLS-funded research but will help provide critical information and support for patients, and support advocacy for laws to ensure patients can access the care and treatments they need. Please visit our website often and bring friends who would also like to donate! The Grand Finale will be March 8th. We'd love you to come. Tickets available on our site. Click on "Shop Our Store." For more information about LLS, please visit www.lls.org. Abbie, Abby & Grace, There are so many people fighting for their lives each and every day. Students like you give hope to someday finding a cure for these diseases. I hope you three reach your goal in raising funds for LLS. We are so happy to support this cause. Way to go Abbie, Abby and Grace! You are truly inspirational young people. Good luck in your fundraising! Best of luck reaching your goal, Abbie, Abby and Grace! Great job working so hard for this very worthy cause, Abbie, Abby and Grace! You go girls! Thanks for setting a good example for others. Good luck ladies. Thank you for your hard work. Abbie, we love you! Way to go! Thank you for organizing this fundraiser. Proud of you, good work. Good luck reaching your goal! Good job ladies! Love seeing young leaders in our community working hard for a great cause. Keep it up!! Congratulations on your efforts! You are Making a Difference! So proud of all your hard work!! Good luck girls! So proud of everything you guys have accomplished!! Keep up the good work, girls! Many thanks to Abby, Abbie, and Grace for bringing awareness to this important cause! This is a wonderful cause! Good luck! Good luck with your fundraising efforts for LLS! Best of luck in reaching your goal!! Proud of all your hard work and dedication to this cause. Great to see young ladies step up and make a difference. Happy to support! Great work Abbie, Abby and Grace! Proud of your efforts!